The "hundreds" of rats aboard the abandoned cruise ship have surely begun eating each other by now, officials say. It has been nearly a year since the vessel was intentionally lost at sea by Canadian authorities who were happy to let the "biohazard" become another country's problem. This gruesome gift from Canada is now expected to crash ashore in Ireland or the United Kingdom, dumping the plague ship's living cargo of cannibal rats onto the land. Named for a popular film actress in Stalin's USSR, the Lyubov Orlova was built by the Soviets in 1976 to treat Russian elites with pleasure cruises to Antarctica and the Arctic Circle. But it was seized in 2010, by Canadian police acting as debt collectors against the ship's now-private owners, and for years it remained anchored off St. John's, the provincial capital of Newfoundland. Finally sold for scrap in 2012, the massive ship was lost at sea just a day after being towed out. When Canadian authorities finally captured the cruise ship last year, they decided to let it loose in international waters. In our era of Google satellite maps, GPS and constant government surveillance of the most mundane activities on land, it seems peculiar that a 295-foot-long ocean vessel could disappear in the North Atlantic while still afloat. But maritime officials in Ireland and Scotland say they haven't heard from the Lyubov Orlova since March of last year, when an emergency signal from the ship placed it about 700 miles off the coast of County Kerry, Ireland. The ship itself was spotted by radar operators not long after, but search pilots sent to confirm the location couldn't find it. Ever since, the rat ship has been missing at sea. It may still be afloat, the Independent reports today, because its lifeboats are equipped with distress signals that only transmit when they hit water—only two of the lifeboats' transmitters have been heard, probably after those rafts were shaken loose as the Lyubov Orlova is continually tossed by North Atlantic storms. It has already traveled two-thirds of the way to the British Isles. If the ship is spotted before a big storm slams it against the populated coastline, scrap haulers or the closest Coast Guard crews will have to board the awful vessel. "There will be a lot of rats and they eat each other," a Belgian scrap sailor told The Sun. "If I get aboard I'll have to lace everywhere with poison." There may be no chance to get aboard, because the 4,251-ton ship full of rats could suddenly be pushed ashore in a winter storm. Once the rats make landfall, they will be very, very hungry for something besides the raw flesh of their comrades at sea. 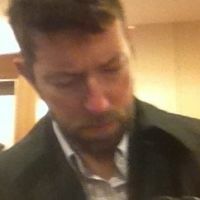 Ken Layne writes Gawker's American Almanac and American Journal. 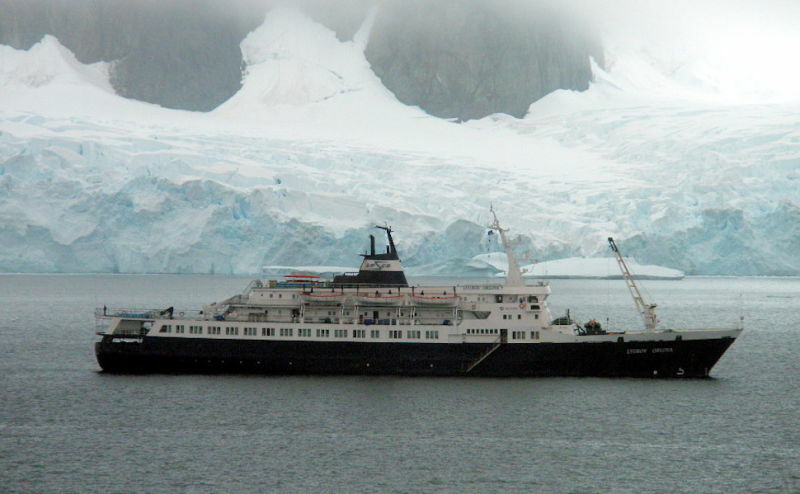 Photo of the Lyubov Orlova in 2010 via Wikipedia Commons.